In our office we want you to be as comfortable as possible at all times, so we’ve laid out exactly what to expect when you come in. First, we’ll review the paperwork you filled out before your visit to make sure we understand exactly what you’re hoping to achieve. We then take a detailed history of the problem where we try to determine possible causes of the problem or lifestyle factors that may be contributing to the issue. We will also ask about how the problem is affecting your life, because we don’t simply want to identify the problem; we want to treat the whole you. 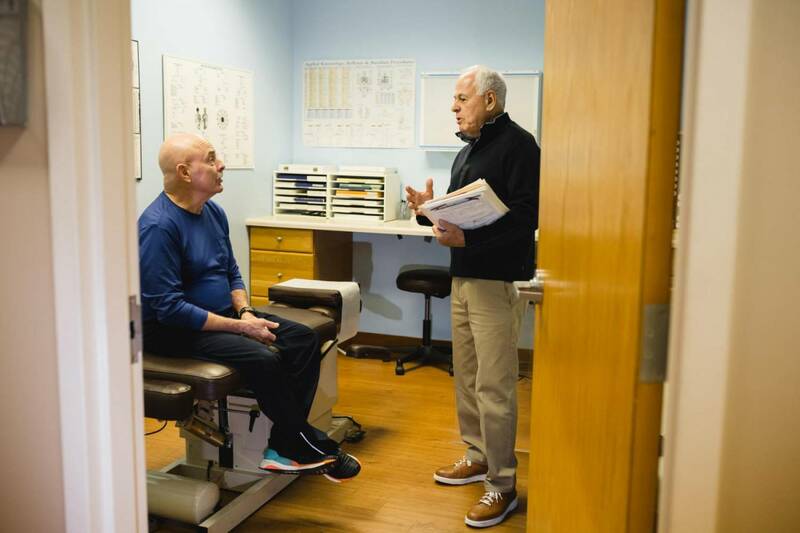 After that, we perform a comprehensive exam where we look at the systems directly related to the problem, and other areas which affect general health. 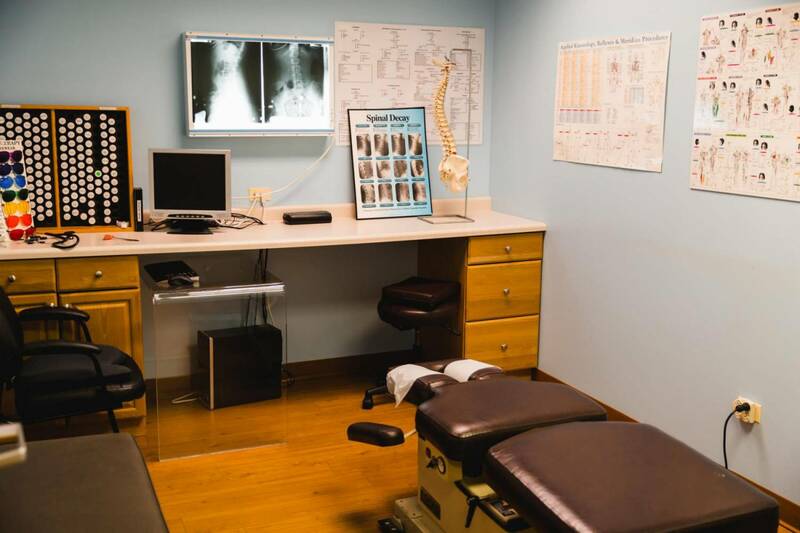 This testing will usually involve physical tests such as muscle testing and an orthopedic exam. Often, it will also involve looking in your eyes and ears, listening to your heart or lungs, or neurological testing. When appropriate, we will recommend plain-film radiographs (X-rays) of certain areas of the body or perform lab work such as blood, urine, or saliva testing. If you have had any lab testing (blood, saliva, urine, stool), imaging studies (X-ray, MRI, CT, etc. ), or other exploratory procedures (endoscopy, EKG, angiogram, etc.) performed within the last year, please bring the results with you on your first visit. 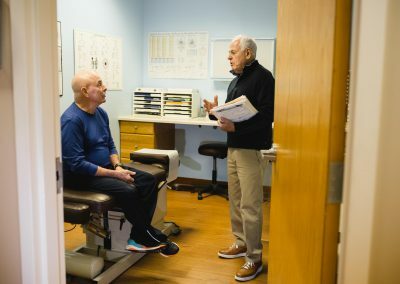 Even if it doesn’t relate directly to the problem, it will help us get a full understanding of your health status and may alter our treatment. 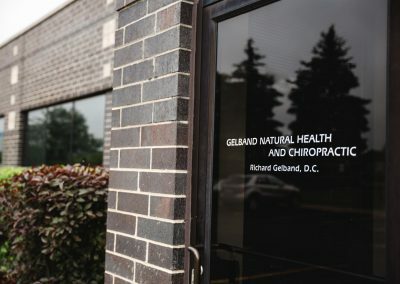 Dr. Gelband uses traditional chiropractic techniques along with applied kinesiology, energy medicine and nutrition to return the body to its natural state – combining Eastern and Western philosophies. The four components of health are addressed with each patient. Structure: This component relates to the skeletal system, specifically the spinal column, the fascia, ligaments, muscles, organs, all of the various systems of the body and the soft tissues. Biochemistry: This includes the biochemical interactions in the body which are affected by what we breathe, eat and drink. To help correct and control this internal environment, natural supplements may be necessary, such as vitamins and minerals, herbal remedies, homeopathics and essential oils. Emotions: Emotions involve internal thoughts and beliefs that have a controlling influence such that we react to our external environment reflexly. These influences are often developed in childhood. If emotions are not addressed optimal health cannot be attained. Energy: There are several energetic systems in the body. I address two major systems. The first one is the meridian or acupuncture system which was developed by the Chinese over 5000 years ago. The second, derived from an ancient yogic discipline, is the chakra system. It consists of seven “wheels” of energy that range from the tailbone to the crown of the head. Each component affects the other three. When any of these components are out of balance, the body is stressed and balancing one or two of the components can often correct the others. 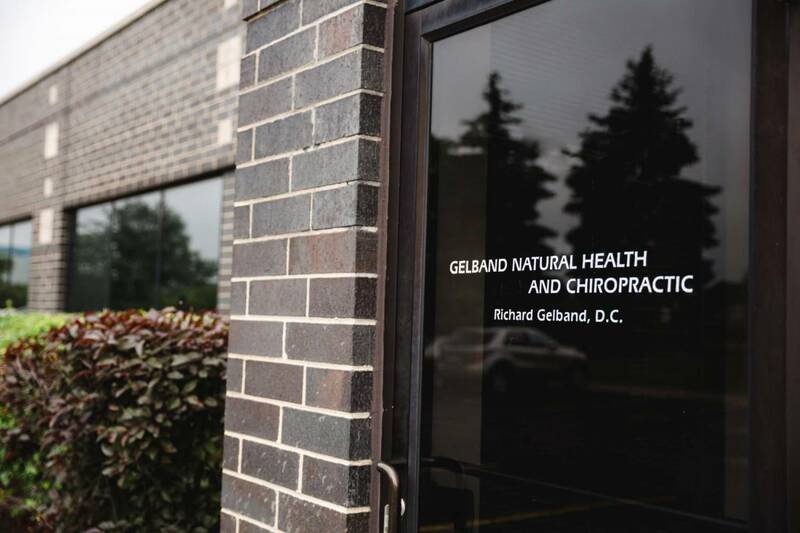 Attention to these areas allows for a more thorough treatment which facilitates Dr. Gelband’s mission of breaking down the obstacles to healing so that the body can heal itself.